Tracker mortgages, that rise and fall with the base rate, are more affordable than either two- or five-year fixed-rate deals right now. But in the current economic environment, is it worth taking one out given the risk of rate hikes in future? Tracker mortgages offer you a variable interest rate that is pegged to the Bank of England base rate. Most lenders will offer you the base rate plus a set percentage. The base rate rose twice in the past two years – once in November 2017, then again in August 2018 – after staying at unprecedented lows for a decade. So, should you still consider a tracker mortgage? Which? compares the best tracker deals with fixed-rate alternatives, and considers if and when the base rate might rise again. If you’re trying to work out what’s the best mortgage for you, call Which? Mortgage Advisers on 0800 197 8461 for a free chat about your options. How cheap are tracker mortgages? Tracker mortgages have become more expensive in the past two years, but remain cheaper than either two-year or five-year fixed-rate deals. The average rate for tracker mortgages is currently a relatively modest 2.3%, according to Moneyfacts. In contrast, two-year fixed-rate deals average 2.52%, while five-year fixes average 2.94%. As might be expected, tracker rates jumped after both base rate rises. However, fixed rates also increased, as lenders faced higher costs on their own borrowing. Of course, if you’d opted for a two-year fixed-rate deal before the base rate started creeping up, you’d have been protected from these increases – whereas if you’d opted for a tracker deal, you’d now be paying much more each month on your loan. Averages don’t always tell the full story, especially given there are far more fixed-rate mortgages on the market than tracker deals. Looking at two-year deals, the lowest tracker rate is cheaper than the lowest fixed rate. However, the difference is minimal. A single base rate increase of 0.25% could make the tracker deal more expensive. If you want a five-year mortgage deal, on the other hand, trackers become distinctly less attractive. The lowest five-year tracker rate is currently 2.14%. But you could take out a five-year fixed-rate mortgage for just 1.82% – and there’s no risk of your payments increasing if the base rate rises again. If you’re currently shopping around for a deal, you can compare hundreds of mortgages on Which? Money Compare. Will the base rate rise again? The base rate determines how much the Bank of England will charge lenders to borrow. When the base rate rises, borrowing becomes more expensive and lenders reward you for saving; when it falls, lenders charge you less for loans (including mortgages) but give you lower savings interest. For just under a decade, the base rate has been below 1%. In fact, between August 2016 and November 2017, it sat at a record low of 0.25%, and before that it had been unchanged for over seven years at 0.5%. Low-rate borrowing has become the norm, so that many first-time home-buyers would struggle to imagine the 4% to 5% that was standard during the early 2000s. Some indications suggest the base rate is unlikely to change much in coming months. The Monetary Policy Committee (MPC), which sets the base rate each month, has said any changes will be ‘gradual and of limited extent’. So while Brexit looms over the UK’s markets, there are no guarantees of how rates are likely to move. Find out more: what will Brexit mean for house prices and mortgage rates? Should I get a tracker mortgage deal? 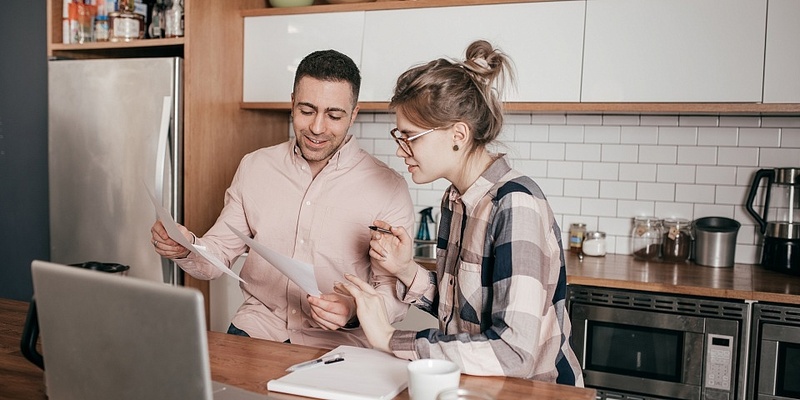 A tracker mortgage deal may appeal to you if you’re looking for a low-rate loan and aren’t phased by a potential rate rise. You’ll need to carefully weigh up whether you could still afford your payments if your interest rate went up by 1% or more. Five-year tracker deals are especially risky, as it’s difficult to say with any certainty how rates might move in that time. If you’d like more certainty over your interest rate, you may be better off opting for a fixed-rate deal, especially given the instability caused by Brexit. Then again, when you lock in to a fixed-period rate, lenders often charge early repayment fees if you sell the house or pay off the loan before the end – almost all fixed-rate deals have these, but some tracker deals do too. So if you’re planning to move in coming years, a longer fixed-rate deal may not be right for you. Get mortgage advice from Which? If you’re confused about the right choice for your circumstances, it’s worth speaking to an expert. A mortgage adviser can help you understand your options and find a deal that works for you. You can call Which? Mortgage Advisers on 0800 197 8461 or fill in the form below for a free callback.